Looking for a creative community that offers valuable support, career development, and benefits galore? Already a member? From volunteering to attending art shows and workshops, there are so many ways to get more involved. Be sure to attend the association’s exhibitions if you can, whether you’re in them or not. For me personally, I found that attending a show that I was not accepted into and seeing the work in person helped me understand why my work didn’t get accepted. It also motivated me to work harder, improve my work, and try again. Shows often do a reception and awards presentation where you can not only see all the work, but meet the show judge and other artists, and see the awards that are given out. Many associations also have educational programs in conjunction with the exhibition opening. You can listen to speakers, watch programs, and take workshops. This year at the American Impressionist Society exhibition, we offered a museum tour and three lectures: one on the history of impressionism, an art marketing presentation, and one on color and painting the impressionist landscape. We offered a three day workshop and also did an all-member paintout which was very well attended and lots of fun! The more organizations you’re a part of, the more opportunities you have: more shows you can enter, more educational opportunities, and more potential exposure for your work. Associations provide fantastic networking opportunities. Relationships are so important in the art world, not only with other artists but with potential collectors and gallery owners. Again, go to the shows if you can, whether you have work in them or not – it’s a great way to connect with people. The more involved you are, the more people you will meet. You can volunteer to help with different aspects of the organization. Participate in paintouts and other events the association may offer. Artist associations often have a Facebook group just for members where they can post and share their work. AIS’s Facebook group is a great place for our members to interact. They can post their work there regardless of whether they enter our shows or not. Participating in an artist association and its exhibitions can build your resume and earn you recognition. Many offer different levels of membership, including signature membership for those who meet specific criteria (being accepted in a certain number of exhibitions for example). Many AIS members who have achieved signature membership tell us that it has been a benefit to their career. It gives them more credibility in the eyes of collectors and galleries. We love hearing that we’ve helped so many artists and careers–it motivates us every day. Artist associations are also a wonderful way to get feedback so you can continue to grow. Some organizations offer critique services. 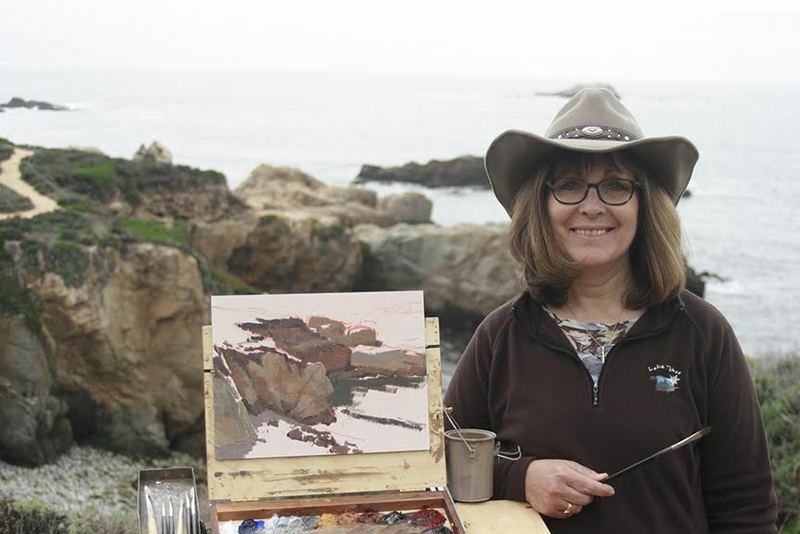 The first time I attended an Oil Painters of America (OPA) national exhibition, I signed up for a critique from a signature member and it was so helpful. I wasn’t accepted into the show but I decided to go anyway, on the advice of another artist friend of mine. Not only was the critique helpful, but, again, being able to see the exhibition in person helped me to understand why my painting wasn’t accepted and motivated me to work harder to improve and try again. And the connections I’ve made through attending shows have opened many doors and opportunities that have helped my career tremendously. Not sure which artist association to join? Check out these tips for choosing the right association for you. Learn what, when, and how to conquer the business side of being an artist with this infographic and free download.